HINCKS, Sir FRANCIS, banker, journalist, politician, and colonial administrator; b. 14 Dec. 1807 in Cork (Republic of Ireland), the youngest of nine children of the Reverend Thomas Dix Hincks and Anne Boult; m. first 29 July 1832 Martha Anne Stewart (d. 1874) of Legoniel, near Belfast (Northern Ireland), and they had five children; m. secondly 14 July 1875 Emily Louisa Delatre, widow of Robert Baldwin Sullivan*; d. 18 Aug. 1885 in Montreal, Que. 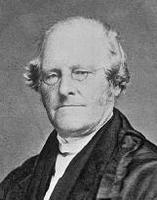 Francis Hincks’s father was a Presbyterian clergyman whose interest in education and social reform led him to resign his pastorate and devote himself full time to teaching. His elder sons, of whom William* was one, became university teachers or clergymen, and it was assumed that Francis would follow in their footsteps. However, after briefly attending the Royal Belfast Academical Institution in 1823, he expressed a strong preference for a business career and was apprenticed to a Belfast shipping firm, John Martin and Company, in that year. In August 1832 Hincks and his bride of two weeks departed for York (Toronto), Upper Canada. He had visited the colony during the winter of 1830–31 while investigating business opportunities in the West Indies and the Canadas. Early in December he opened a wholesale dry goods, wine, and liquor warehouse in premises rented from William Warren Baldwin* and his son Robert*; the two families soon became close friends. Hincks’s first advertisement in the Colonial Advocate offered sherry, Spanish red wine, Holland Geneva (gin), Irish whiskey, dry goods, boots and shoes, and stationery to the general merchants of Upper Canada. Because his wholesale business was frequently in financial difficulties, Hincks readily accepted the invitation of George Truscott* and John Cleveland Green in 1835 to join them in founding the jointstock Farmers’ Bank and to serve as cashier (general manager). When the bank’s directors elected Tories as president (John Elmsley*) and solicitor, several prominent Reformers, such as James Lesslie, James Hervey Price, and Dr John Rolph*, withdrew and in the same year formed the Bank of the People. Hincks cast his lot with the Reformers and became cashier of the new bank. He welcomed other opportunities in new enterprises: in 1836 he was a founder of the Home District Mutual Fire Insurance Company of Upper Canada and its first secretary. From the outset of his political career Hincks was, like Robert Baldwin, a moderate Reformer, with misgivings about the radical wing of the movement led by William Lyon Mackenzie*. 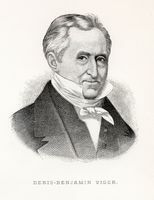 After the Reform victory in the provincial election of 1834 Hincks was one of two auditors chosen by a select committee of the assembly investigating the Welland Canal Company to examine its books. 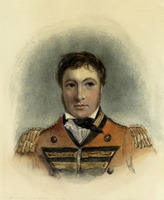 Most of the Reformers, including Hincks, received well the news of the appointment of Sir Francis Bond Head* as lieutenant governor of Upper Canada in December 1835. They quickly became disillusioned, however, for Head’s conduct, especially during the election campaign of 1836, convinced them they could not hope to achieve responsible government while he remained in office. In the autumn of 1837 Hincks was alarmed to learn that some Reformers led by Mackenzie were plotting rebellion. He was not in their confidence, but suspected that some of the directors of his bank were still associated with Mackenzie and he knew that Rolph was deeply involved. The attempt at rebellion in December was easily crushed but a decided reaction against the Reform movement followed. Amid accusations and rumours, Hincks went into hiding for a week until the hysteria cooled. Some Reformers, including Peter Perry*, Thomas Parke*, Price, and Lesslie, despaired of obtaining reform and thought of leaving British North America. Sharing this pessimism, Hincks joined the Mississippi Emigration Society which planned to organize a mass migration to Iowa, and on its behalf went to Washington to investigate the possibility of securing a large block of land. By the time he returned to Upper Canada in early 1838 Lord Durham [Lambton*] had been appointed to investigate the causes for the rebellions in Upper and Lower Canada. Hope was rekindled among the Reformers, and the society decided to postpone definite plans until Durham had submitted his recommendations. Anxious to promote their cause while awaiting Durham’s arrival, Reformers such as Hincks and Price travelled to the villages north of Toronto with a strong Reform tradition. They were conscious of the need for a newspaper to explain the implications of responsible government and to emphasize that moderate Reformers rejected rebellion and sought to attain their ends by following British examples. 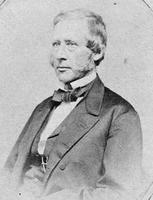 Hincks resigned in June 1838 from the Bank of the People to establish the Examiner in Toronto. Its first issue was published on 3 July with the motto “Responsible Government” to which the words “and the Voluntary Principle” were soon added. For the next four years, while Hincks remained proprietor and editor, these were its predominant editorial themes: parliamentary government on the British model, and support of religious bodies only by the voluntary contributions of their adherents. Possibly Hincks’s editorials helped persuade Durham that responsible government was the basic reform needed to establish harmony between the executive and the assembly. Hincks and his contemporaries did not have a uniform and cohesive notion about what they meant by responsible government, but generally they meant the parliamentary form of government that was evolving in Great Britain. Following this model they urged that the governor’s advisers should be chosen from among the group which could command a majority in the assembly and that the governor should act on their advice. Thus they could be held responsible by the assembly for the governor’s actions. They saw responsible government as the means of wresting control of Upper Canada from the Tories and of obtaining the power they needed to implement a reform programme. But there was no general agreement as to what that programme should be. In the 1840s most Upper Canadian Reformers agreed that the clergy reserves should be secularized, but it is doubtful whether a majority of French Canadian Reformers shared this view. By the 1850s, Hincks would give top priority to using political power to forward railway projects and developmental schemes. Durham’s report, containing the recommendations that Upper and Lower Canada should become a single colony, that expenditures should be introduced in the legislature by members of the executive, and, most particularly, that responsible government should be introduced in the Canadas, stimulated a Reform revival in Upper Canada after it reached the colony early in April 1839. 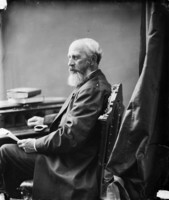 Through the Examiner Hincks soon became recognized as the principal political spokesman and strategist of the Upper Canadian Reformers although Baldwin was the acknowledged leader. 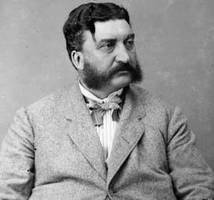 Hincks perceived immediately that if Upper Canadian Reformers joined forces with their French Canadian counterparts the united party might be wellnigh invincible. Taking the initiative, on 12 April 1839 he wrote an exploratory letter to Louis-Hippolyte La Fontaine*, leader of the Lower Canadian Reformers. “Lord Durham ascribes to you national objects,” he observed. “If he is right, union would be ruin to you, if he is wrong, & that you are really desirous of liberal institutions & economical government, the union would in my opinion give you all you desire. . . .” His background and bias led Hincks to think only in terms of individual political and social liberty; he likely shared Durham’s assumption that the assimilation of French Canada was inevitable. However, through their correspondence and association, Hincks and La Fontaine came to understand the hopes and fears of Reformers in each other’s province. 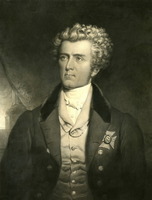 For his part, Hincks constantly stressed two basic ideas: responsible government was the means by which any desirable reform could be attained; and a union of the Canadas offered the best opportunity to obtain responsible government because it would enable the Reformers of the two provinces to cooperate in achieving their aims. It was typical of Hincks that it was he, rather than Baldwin, who had established contact with La Fontaine. But in spite of his most persuasive arguments he failed in his attempt at having the Reformers work together; the French Canadian Reformers did not believe they could rely on the support of their counterparts in Upper Canada. It remained for Baldwin and La Fontaine to consummate an alliance on the basis of personal friendship in the early 1840s, although Hincks had contributed greatly to the understanding that made the alliance possible. The first election after the union of the Canadas in February 1841 took place in March and Hincks was pleased with the results. 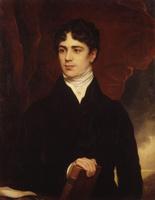 He was elected in Oxford County, and, according to his analysis, in Canada West the Reformers had won 19 seats, the supporters of Governor Sydenham [Thomson*] 17, and the Tories 5. The results from Canada East were less promising. French Canadian Reformers had elected a majority, but gerrymandering, the governor’s influence, and violence at the polls had deprived them of seats they had fully expected to win. Hincks began to fear that in their resentment French Canadians might adopt an uncooperative, anti-union stance. To counteract this danger he wrote to La Fontaine’s lieutenant, Augustin-Norbert Morin*, proposing strategy to gain responsible government when the legislature met. To his surprise Hincks found, when the session began in June, that it was the Reformers of Canada West who did not remain steadfast to the cause of a united Reform group. Baldwin and Hincks knew that evidence of good faith must be given to La Fontaine and his followers. But most Upper Canadian Reformers were aware that their constituents wanted the public works promised by Sydenham and they refused to risk losing these projects by supporting the French Canadians in their opposition to the governor. When it became apparent that an alliance would not materialize during the session, Hincks’s basic pragmatism led him to reassess his own position. Rather than constantly opposing the government, he decided to support measures of which he approved. Soon he came to feel that there were liberal men connected with the administration, such as Charles Dewey Day and Henry Black*, and that “practical responsibility” had been conceded, if not the full theory of responsible government. 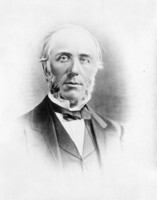 Before the session ended Hincks had voted against Baldwin and the French Canadians on a number of measures including a bill to establish municipal councils in Upper Canada, and had become interested in Sydenham’s proposal to create a government bank of issue. Bitter words were exchanged and a rift developed between Hincks and Baldwin. Ironically, after the session ended the prospects for a united Reform party improved. 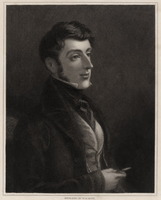 Largely through Baldwin’s efforts La Fontaine was elected for the 4th riding of York on 23 Sept. 1841. And, as errant Reformers returned to Baldwin’s leadership, it appeared the government would not be strong enough to carry its measures in the next session. 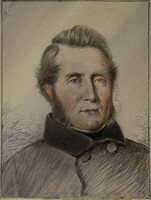 Advised by the Colonial Office to strengthen his government, Sir Charles Bagot*, Sydenham’s successor, offered Hincks the office of inspector general of public accounts in June 1842. Hincks readily accepted and thereby earned the reputation of being a political opportunist. He sold the Examiner to Lesslie upon taking office. Bagot’s expectation that Hincks would align moderate Reformers from Canada East and West with the government did not materialize and the governor soon realized he must obtain the support of the French Canadian bloc in the assembly. He entered into negotiations that culminated in La Fontaine and Baldwin joining the administration in September 1842. Hincks was thus reunited with his former colleagues, but he was still regarded as a traitor by many Upper Canadian Reformers who agreed with Price that his presence “polluted” the administration. 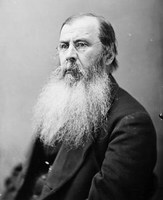 Hincks had never ceased to consider himself a Reformer; he showed no hesitation now in resuming an active role in the movement and was soon advising Baldwin on political tactics. As inspector general he took steps to improve the collection of customs duties and to establish more efficient accounting practices in the office of the receiver general, John Henry Dunn*. Bagot had sought the support of La Fontaine and his followers in order to maintain harmony between the executive and the assembly, but before he could judge the success of his “great measure” he became ill and asked to be replaced. 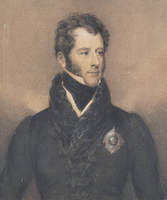 At the end of March 1843 his successor, Sir Charles Theophilus Metcalfe*, arrived. Hincks was initially impressed by the new governor. 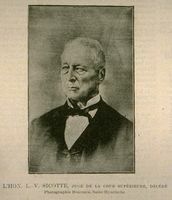 Bagot had been instructed by the colonial secretary, Lord Stanley, to resist any attempt by the Reformers to alter the civil list established by the imperial act of union. 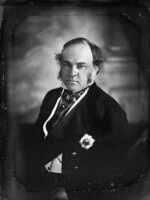 None the less, when his council objected to the imperial government’s determining the civil list, Metcalfe asked Hincks to prepare a memorandum and used it to renew Bagot’s proposal to the British parliament that the Canadian legislature be permitted to pass a civil list of its own. On the question of control of patronage Metcalfe was obviously sensitive. Both his own inclinations and Stanley’s instructions led him to resist any attempt by the Reformers to gain acceptance of their claim that the Executive Council must be consulted on all appointments. But even on this question Hincks observed to Baldwin that the governor was “really . . . acting very well and is I think improving.” Anxious to meet Metcalfe half way, Hincks advised Baldwin that the Executive Council ought to appoint a reasonable number of Tory magistrates in the Home District to show the governor that the Reformers were fair and that they appreciated his “not objecting to a single name” among the officials they nominated for the districts of Gore and Simcoe. Such impressions were short lived. Soon after his arrival in Canada Metcalfe began to suspect that his Executive Council probably intended to force a test of responsible government by tendering advice he could not accept and resigning en masse when he refused it. He hoped the test would come over control of patronage, which he felt he could defend, rather than over other contentious issues such as the civil list, the location of the capital, or an amnesty for those exiled for their involvement in the rebellions of 1837–38. The crisis occurred on 26 Nov. 1843. The entire council, with the exception of Dominick Daly*, announced their intention to resign because Metcalfe would not agree that the council was responsible to the assembly and consequently that it must always be consulted before an appointment was made. On 12 December Daly, William Henry Draper*, and Denis-Benjamin Viger* were sworn in as members of council, but the governor was unsuccessful in forming a new council that would have the support of a majority in the assembly. Finally, he appealed to the province and called a general election in September of 1844. The new assembly contained a slight majority of the governor’s supporters, but most of these were elected from Canada West. Among the Lower Canadian members his supporters were in a decided minority, with virtually no French Canadians. This imbalance continued until the La Fontaine–Baldwin administration was formed after the general election in 1848. Throughout the crisis, Hincks had remained steadfast to the Reform cause. In the midst of it Baldwin’s father died and, in a state of depression, the Reform leader decided to withdraw from politics. Hincks’s friendship with Baldwin, and his insistence that Baldwin’s resignation would seriously damage the Reform movement, helped persuade him to remain at his post. Thoroughly engrossed with his newspaper, Hincks began to doubt whether he would wish to hold office again. “My Ambition is satisfied, and I really have no desire personally to go back, and I think to be of the most service to the party, I had better remain as I am,” he advised Baldwin in May. Still, he sought re-election when Metcalfe dissolved the legislature in September 1844. He attributed his unexpected defeat in Oxford County by Robert Riddell to the Scots of Zorra Township whose Presbyterian conscience he had offended when he supported John Prince*’s bill permitting hunting of game on Sunday. Baldwin suspected that the Pilot’s wide-ranging attacks on the Scottish Tory merchants of Montreal were probably an additional factor. Hincks soon realized that the Pilot required numerous subscriptions from Upper Canada’s Reformers in order to survive: most Reformers in Canada East were French and not likely to subscribe to an English paper, and most of the Montreal merchants were Tories and unlikely to advertise in it. But Hincks’s efforts in Canada West soon brought him into conflict with George Brown* who naturally felt that subscriptions to the Pilot should not be encouraged at the expense of the Globe. Their newspapers were not the only source of friction between the two men. Hincks suspected Brown of aspiring to replace him as the Reform candidate in Oxford at the next election. Brown, he confided to Baldwin in September 1845, “has been there exerting himself not only against the Pilot but against me personally. His object is to unseat me for that Co & as my friends think to substitute himself. He proposes also to substitute [Edward Blake*] for you as a leader. My information can be relied on.” Brown, in correspondence with Baldwin, denied having any political aspirations, and all the evidence indicates that Hincks’s suspicions were unwarranted. Isolated as he was from Upper Canadian politics and having lost his seat in the assembly, Hincks was prone to believe any rumour he heard. He was becoming critical of the leadership provided by Baldwin and La Fontaine and bitter over the failure of Lower Canadian Reform leaders to provide adequate support for the Pilot. He frequently considered selling the paper and almost did so in 1847 when a profit of $4,500 on investments in the Echo Lake Mining Company and the Lake Huron Silver and Copper Mining Company gave him sufficient funds to satisfy his creditors. But in the end he decided to keep it; he enjoyed journalism and the Pilot enabled him to serve as the link between Reformers from Canada East and West. Hincks also knew that he had considerable influence with the French Canadian leaders. Between 1845 and 1847 when, under the guise of recognizing the equity of the double majority principle, Draper sought to separate the French Canadian members from La Fontaine’s leadership and from their alliance with the Upper Canadian Reformers, Hincks’s influence and advice were important factors in keeping the Reformers from Canada East united and steadfast to the cause. The legislature was dissolved and an election called in late 1847 while Hincks was in Ireland, his first visit since his arrival in Canada. After briefly investigating prospects in both Canada East and Canada West, Baldwin decided Hincks’s best chance for re-election was still in Oxford County and asked Brown to campaign on his behalf. 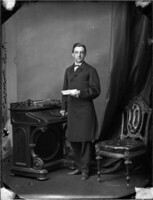 Though Hincks returned to Canada before the election, urgent private business prevented him from leaving Montreal to make even a token appearance in his constituency: Theodore Hart had been unable to meet a note valued at £450 held by Hincks, and the latter had had subsequently to borrow money on the note. 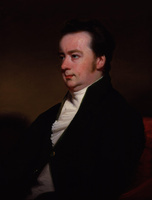 He owed his election to the efforts of Brown and of Thomas Strahan Shenston*, his political agent in Oxford. But such knowledge, rather than improving relations between Hincks and Brown, likely increased Hincks’s sense of insecurity and his suspicions of Brown. Despite his past doubts Hincks sold the Pilot and readily accepted the office of inspector general in the ministry formed by La Fontaine and Robert Baldwin in March 1848. He soon became aware of the extent to which rumours of political instability together with mismanagement and over-expenditure had undermined the financial reputation and credit of the province which had been borrowing heavily to finance public works without making adequate provisions to repay debts. His predecessor as inspector general, William Cayley, had not established a sinking fund and had failed to pay either interest or principal on a loan of £140,000 he had floated in 1846. Yet, Hincks found when he took office, expenditures for public works were still increasing. Canadian debentures could only be sold in London at a large discount and financial institutions were reluctant to handle them at all. Hincks set to work to restore the province’s credit. Largely as a result of his efforts both Baring Brothers and Glyn, Halifax, Mills and Company took on the role of Canadian financial agents in England, and soon the debentures were selling at a premium. In the session of the legislature which opened in January 1849, Hincks sponsored a bill which created a sinking fund for the eventual retirement of the provincial debt. Hincks’s other great interest in this session was the Railway Guarantee Act. Intended to stimulate railway construction in Canada, the act authorized a government guarantee of six per cent interest on half the bonded debt of any railway over 75 miles in length after half the line had been built. 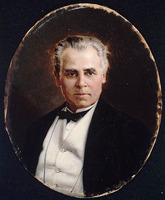 Hincks was convinced that railways were the key to Canadian economic development and was pleased when his act encountered little opposition within the legislature despite the prevailing depression. The government’s Rebellion Losses Bill, however, generated a violent storm in the legislature, abuse of Governor General Lord Elgin [Bruce*], and a riot in Montreal which resulted in the burning of the Parliament Buildings and attacks on the houses of Hincks and La Fontaine. 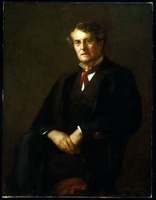 When the Tories sent Sir Allan Napier MacNab* and Cayley to England to urge the disallowance of the act, the government chose Hincks to counteract their efforts. Upon his arrival in England he found there was no possibility of the act being disallowed, and he concentrated instead on promoting Canadian securities as an attractive investment. Just as his efforts began to bear fruit, reports arrived of agitation in Canada for annexation. Hincks realized that under such conditions Canadian bonds had little attraction for British investors and, feeling completely frustrated, he left for Canada. He arrived back in Montreal to find that an annexation manifesto had been signed by many business and professional men, predominantly from Canada East, including the Reform leaders Luther Hamilton Holton* and Antoine-Aimé Dorion*. In correspondence with Baldwin he was soon criticizing him and La Fontaine for their weak leadership in a time of crisis. “Had prompt measures been taken with the annexationists,” he declared to Baldwin, “they would have been down by this time instead of increasing in influence & numbers.” He urged that those who had signed the manifesto be stripped of offices and honours. In this mood he considered his retirement from office. However, by the spring of 1850, with the annexation movement in decline, Canada’s reputation on the London money market improved. Possibly, too, Britain’s recovery from the financial crisis of 1847–48 helped to create a more favourable climate for the sale of Canadian debentures. Before the end of May 1850 the balance of a £500,000 Canadian loan had been negotiated and the debentures had been sold slightly above par. The rift between Hincks and Brown widened on 30 June 1851 when Baldwin suddenly decided to resign from the cabinet after a majority of the members from Canada West in the assembly supported Mackenzie’s attack on the Court of Chancery that Baldwin had recently reformed. Hincks was his logical successor, and although he offered to resign with Baldwin, he had no real desire to do so. He had been critical of Baldwin’s leadership and he probably felt he could provide Upper Canadian Reformers with more positive and more dynamic direction. But he was assuming the leadership of the western section of the party at a difficult time. Reform unity was threatened by both the Clear Grits in Canada West and the Rouges in Canada East; and, at the same time, Brown’s Globe was increasingly critical of compromises made by Baldwin and La Fontaine for the sake of unitet if the union of the Canadas was not preserved, the province’s credit would be seriously impaired. Aware that the Globe’s intolerant voluntaryism threatened the Reform alliance, Hincks, upon taking over from Baldwin, indicated his intention to insist that its editorial policy be in accord with the policy of the party. But Brown, finding the prospect of Hincks’s leadership intolerable, severed his connection with the party early in July. He regarded Hincks as a mere political opportunist who valued power more than principles. Hincks, however, seeing himself as a political realist, considered Brown to be a governmental impossibility because he refused to recognize the significance of French Canadian political strength. Anxious to reunite the party, Hincks welcomed William McDougall*’s proposal that two Clear Grits, John Rolph and Malcolm Cameron*, be taken into the government in return for support of McDougall’s newspaper, the North American of Toronto. This arrangement made it impossible to give Solicitor General John Sandfield Macdonald* a seat in the cabinet (he was offered the post of commissioner of crown lands), let alone the post of attorney general west which he wanted. In his disappointment Macdonald vowed, “I will make Hincks pay for it if I can . . . .” Hincks was faced with the fact that less than six months after he had assumed the leadership two influential Reformers, Brown and Macdonald, had been alienated. Baldwin’s resignation had led La Fontaine to consider his own position and he soon announced his intention to resign also. 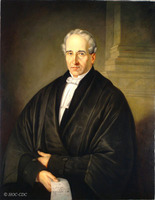 On 28 Oct. 1851 Hincks and Augustin-Norbert Morin became the new co-premiers, with a programme which included secularization of the clergy reserves, abolition of seigneurial tenure, an elective Legislative Council, increased representation in the assembly, extension of the franchise, and the encouragement of railway construction Upon taking office they advised the governor, Lord Elgin, to dissolve the house. The ensuing election, held in December, returned the Reformers in approximately the same numbers as in the previous parliament. 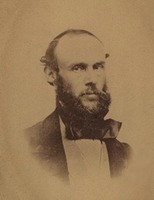 Because of the friction caused by the Clear Grits and by Brown’s personal opposition to himself, Hincks chose to run in both Oxford and Niagara to ensure that he won a seat. He was successful in both constituencies, and chose to sit for Oxford. Convinced that railways would bring a new era of prosperity to British North America, Hincks was anxious to encourage further railway building. 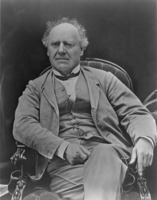 When Baldwin had announced his intention to resign as premier, Hincks was in discussions with Edward Barron Chandler* and Joseph Howe* concerning the joint financing by Canada, New Brunswick, and Nova Scotia of a railway from Halifax to Windsor or Sarnia on Canada’s western boundary. They reached an agreement and in August 1851 Hincks piloted a bill through the legislature authorizing Canadian participation in the scheme. But late in the year he was dismayed to learn that the project was in danger. There had been a misunderstanding: the imperial government was willing to guarantee the interest on a loan to build the railway only if it followed a defensible route through northern New Brunswick along the south shore of the Gulf of St Lawrence. Because New Brunswick was interested only in a line that would provide service for the Saint John valley, the arrangement was about to collapse. Hoping to work out a compromise, Hincks and two cabinet colleagues, Étienne-Paschal Taché* and John Young*, visited New Brunswick and Nova Scotia early in February 1852. A new plan was worked out, which Howe opposed because it would use the Saint John valley and thus give Saint John a direct rail link with the Canadas, enabling it to compete with Halifax as the principal ocean port for British North America during the winter shipping season. In a masterful speech in Halifax, Hincks appealed directly to the merchants and people of Nova Scotia and won general support for the plan. Howe capitulated and agreed to do “all that a Nova Scotian ought, to bring this matter to a successful issue.” Hincks still had to persuade the imperial government to reverse its stand and guarantee the interest on the loan for a railway that, because of its proximity to the American border, would be vulnerable in the event of war. When the colonial secretary, Lord Grey, gave some encouragement to the idea of a delegation to promote the scheme in England, Hincks left at the end of February, and it was agreed that Howe and Chandler would join him. The railway was the main reason for his mission to England, but Hincks also hoped to see the imperial parliament repeal its Clergy Reserve Act of 1841 and thus clear the way for the Canadian legislature to solve the reserves problem on its own terms. He also intended to press for negotiations for a reciprocity treaty with the United States. But he encountered one frustration after another. Howe did not come to England, although in the end his absence made little difference. The Whigs had been defeated in parliament before Hincks arrived and the attitude of the new colonial secretary, Sir John Somerset Pakington, soon convinced Hincks that, though the government was procrastinating regarding the railway, the Saint John valley route would ultimately be denied the imperial guarantee. Determined that Canada should at least have a main trunk line from Quebec to its western boundary, he concluded an arrangement with the British firm of Peto, Brassey, Jackson and Betts to build a line approximately 330 miles long from Montreal to Toronto and Hamilton as a private, rather than a publicly owned, enterprise. Before he returned home in late spring, Pakington had come to personify for Hincks the exasperation he had experienced in England. 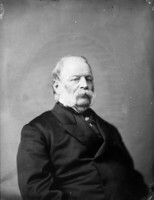 Ignoring Hincks, Pakington informed Lord Elgin in Canada that the imperial Clergy Reserve Act would not be repealed in the current session. 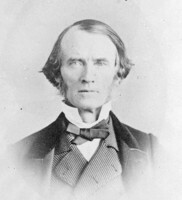 Upon learning indirectly of Pakington’s dispatch, Hincks hastened to warn him that “there will be no end of agitation in Canada if the attempt be made to settle this question permanently according to public opinion in England instead of that of the province itself.” Finally, Pakington rejected Hincks’s proposal to encourage the United States to enter a reciprocity agreement (thus enabling Canada to gain more revenue from canal tolls) by granting American vessels free navigation of the St Lawrence River. The colonial secretary insisted that the Americans must make an equivalent concession. 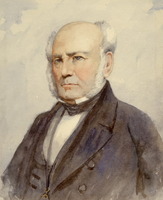 In the parliamentary session which began late in the summer of 1852 Hincks’s main priorities were to have his railway arrangements approved and to obtain endorsement of his warning to Pakington concerning the clergy reserves. 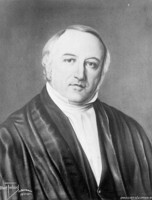 His resolutions asserting that the Canadian parliament had the constitutional right to settle the reserves question without interference from England passed without difficulty despite objections from Brown and Henry John Boulton*. In the hands of Hincks and William Mather Jackson, a partner in the firm of Peto, Brassey, Jackson and Betts who accompanied him back to Canada, plans for the Grand Trunk were expanded during the fall and winter of 1852–53 into a line stretching from Sarnia to the year-round port of Portland, Maine. 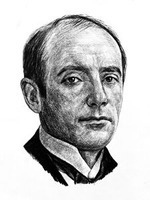 Jackson, aided by Hincks, who entered into personal negotiations with Alexander Tilloch Galt*, purchased or leased charters, rights, and partially completed railways, and committed his firm to build some 1,100 miles of track. The Grand Trunk was to be financed by an issue of stocks and debentures floated in April 1853 by Baring Brothers and Glyn, Mills and Company on the London exchange. The contractor agreed to hold an equal amount of stock for later sale, and the Canadian government was to guarantee bonds worth £3,000 for every mile completed. When his Grand Trunk bills came up in the house in 1852, 1853, and 1854, Hincks, as he confidently expected, obtained solid majorities in favour. Hincks’s Municipal Loan Fund Bill was another measure for his special attention. He was convinced that municipalities in Canada West were excellent sources of funds for investment in railways and other important communication links, but he knew how difficult it was for them to sell their debentures in Britain. In an effort to make credit more readily available he introduced his bill in 1852 which authorized the provincial government to sell municipal loan fund debentures and to lend the proceeds to municipalities for investment in railway, canal, and road companies. As security for such loans the province would accept the municipalities’ own debentures. Although the measure led several cities and towns to overextend their financial base, this danger was apparently not foreseen, for the bill encountered little opposition either in the legislature or in the press. In September 1853 the implications of a transaction entered into by Hincks in 1852 became a public concern. Shortly after his return to Canada, Mayor John George Bowes* of Toronto had proposed that they purchase jointly city of Toronto debentures which the contractors building the Ontario, Simcoe and Huron Railroad Union Company were willing to sell at a 20 per cent discount. Confident that he could arrange a profitable resale of the debentures through his contacts in London, Hincks readily agreed. He soon received, through Glyn, Mills and Company, an offer to purchase the debentures if they were issued in sterling and made payable in London. These requirements presented no problem. The government of Canada had just consolidated the city’s municipal debt, in which these debentures were included, through an act in 1852; Toronto City Council, unaware that the mayor and Hincks now owned the securities, issued new debentures in sterling payable anywhere. Hincks and Bowes were thus able to exchange the debentures they bought for £40,000 for new ones that could be readily sold for £50,000. After deducting expenses they cleared a profit of slightly more than £8,000. But the city now entered a suit against Bowes and it was revealed that Hincks was indeed his partner in the stock manipulation of the “£10,000 job.” In his own mind Hincks did not believe he had acted dishonestly, but he was powerless to stem the rising tide of innuendo. As a result he was also suspected of having profited from his position and inside knowledge in a whole series of nefarious schemes. 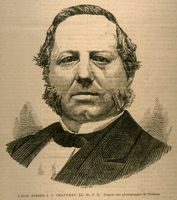 Brown claimed that prior knowledge of the amalgamation in 1854 of the St Lawrence and Atlantic Railroad with the Grand Trunk had enabled Hincks to make a profit by investing in depressed shares of the former company. Actually, he had not bought St Lawrence and Atlantic shares until after the amalgamation had been announced and their price had risen considerably. The rumour also circulated that Hincks had received a commission for arranging a loan in England for the city of Montreal. In fact the negotiations he was conducting on behalf of Montreal collapsed, but Hincks refused to admit that he had acted improperly in this assignment and also stated that had he been successful he would have expected a commission. Malfeasance was suspected when it was learned that some 1,000 shares of Grand Trunk stock had been entered in Hincks’s name on the company’s books and that the initial deposit on the shares had been paid by Sir Samuel Morton Peto of the contracting firm. The donation of railway shares appeared to his enemies to be an obvious bribe. The company’s explanation, not very convincing, was that the stock was allotted to Hincks in trust for distribution in Canada, thereby permitting Canadian investors to acquire it at par, and that Hincks never personally received any of the stock Numerous other charges, which began to appear in September 1853 and continued until June 1854, were added as the Globe, the Montreal Gazette, and other newspapers labelled Hincks the “arch-corruptionist.” It was suggested that his opposition to the incorporation of a company to build a canal on the Canadian side of the border at Sault Ste Marie was due to his financial interests in the area which would be adversely affected. He was accused of using political influence on behalf of a land speculation syndicate, to which Samuel Sylvester Mills* and James Morris* also belonged, to enable it to acquire government property at prices much below its true value. Subsequent investigations would reveal that these charges were based on rumour and misinformation rather than hard fact. Hincks returned from a voyage to England and to the United States, where he participated in the negotiation of the Reciprocity Treaty, in June 1854. The assembly met soon after, on 13 June, and he was confronted by a hostile house determined to drive the Hincks–Morin administration out of office. The government was accused of corruption and extravagance and of procrastination in dealing with seigneurial tenure and the clergy reserves (the imperial act having finally been repealed in late 1852). When a motion of censure was carried, Hincks and Morin advised Elgin to dissolve parliament. In the election in August 1854, Hincks, again afraid of being defeated in Oxford, ran in Renfrew as well. 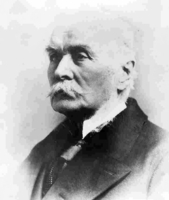 Although elected in both ridings, he sat for Renfrew as had been pre-arranged with John Egan*, who had supported his nomination on that condition. Hincks and Morin won the largest number of seats, but failed to obtain a clear majority. Their minority government was defeated shortly after parliament met in early September and the leaders submitted their resignations on the 8th. 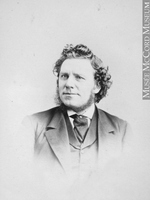 Hincks knew that Brown and John Sandfield Macdonald aspired to reconstruct the Reform party in Canada West, and he feared that Brown’s influence might destroy the alliance with Morin’s followers and thus imperil both the union and Canada’s economic prospects. He tried to form alternative alignments. 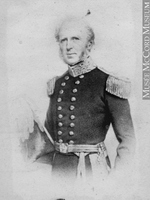 The alignment which occurred differed from any he had envisaged, but it was one of which he fully approved; MacNab approached Morin and proposed a coalition of Liberals and Conservatives. It was agreed by both groups that the coalition’s programme would include secularizing the clergy reserves, abolishing seigneurial tenure, and making the Legislative Council elective. At Morin’s request MacNab agreed to include Hincks’s followers in the coalition and, after further discussion with Hincks, Robert Spence* and John Ross* were named to represent the Hincksites in the cabinet. Once the new government had taken office the actions of Hincks and his associates were investigated. Select committees of both the assembly and the Legislative Council met from 26 Oct. 1854 until the end of April 1855. As a member of the assembly’s committee Brown appeared, at times, to be both judge and prosecutor. But, in spite of his determined efforts, the committee reported that the evidence presented to it would not support a charge of corruption against any member of the late administration. Indeed the committee expressed its amazement that after all the rumours no one appeared before it to make formal charges or to offer evidence. To the committee Hincks insisted that the acceptance of office did not deprive a man of his right to participate in legitimate investments; such a position was bound to result in suspicion and rumours of scandal, but no evidence was presented to prove that he had ever used the powers of his office or inside information for personal gain. He maintained that his speculation in Toronto debentures was a legitimate transaction, in which any investor might have participated. The Court of Chancery had ruled that, as mayor, Bowes could only have acted as a trustee of Toronto and must therefore give his half of the profit to the city. There were no grounds to sue Hincks for the other half. 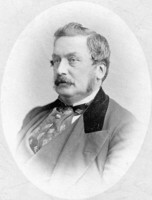 Not intending to remain in politics Hincks resigned his seat on 16 Nov. 1855. He planned a visit to England and Ireland and, upon his return, to accept the offer of the presidency of the Grand Trunk Railway. However, in the spring of 1856, while still in Great Britain, Hincks accepted appointment as governor of Barbados and the Windward Islands; after the accusations he had faced in Canada such an appointment, at the hands of Queen Victoria, was the ultimate vindication. During his term as governor he worked to improve the social conditions and educational facilities on the islands and won the approbation both of their inhabitants and of the authorities in England. He established a nonsectarian board of education and urged that the number of schools be increased. His concern over the poor living conditions of the native population led him to propose that large numbers should be relocated on unoccupied lands on other islands and that each family be given land on which to maintain themselves. His plans were only partially successful because the planters, fearing a reduction in the labour supply, opposed them. In September 1861, Hincks was appointed governor of British Guiana (Guyana) with an increase in salary and rank and, at the same time, was created a cb. But he soon clashed with a group of business and professional men whose leaders, known as the “Bermuda Clique,” wished to wrest power from the planters and the governor and demanded a more representative form of government as a means to this end. Because he felt the colony was not yet ready for such a system, Hincks opposed the move. 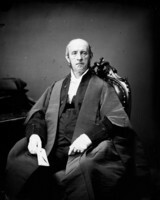 His quarrels with the chief justice of the colony, William Beaumont, who was determined to reduce the power and authority of the governor and his executive, together with the constant stream of plaintive appeals each addressed to the Colonial Office, probably explain why Hincks did not receive a reappointment when his term ended in 1869. He was, however, recommended for a knighthood which he received in that year. 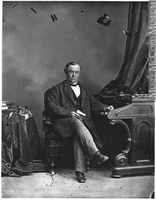 While Hincks was visiting Canada in 1869, Sir John A. Macdonald* offered him the post of minister of finance as a replacement for John Rose whose resignation had followed a cabinet decision to withdraw his banking bill. Hincks accepted, and upon taking up his office on 9 Oct. 1869 he turned to the difficult unfinished business of regulating the banks and currency of the country. He was elected to the house for Renfrew North on 13 November. Rose had hoped to do away with the notes issued by all Canadian banks and to replace them by dominion notes. He had been defeated by the combined opposition of Liberal politicians and Ontario businessmen and financiers such as Senator William McMaster. Hincks personally preferred a bank of issue, but he knew he must compromise. 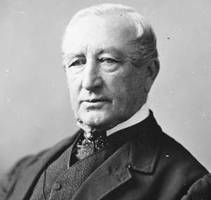 On 15 Feb. 1870 he stated that the special status of the Bank of Montreal, which had become the sole issuer of government notes, was to be terminated after a six-month period of notice. He then obtained the agreement of bankers from Ontario, including McMaster, to a bill which defined the concurrent circulation of bank and government notes: notes issued by banks were limited to amounts of $4.00 and higher; dominion notes only were to be issued for smaller denominations. Although the bankers had won the most lucrative share of the business, Hincks improved the government’s position with a requirement that each bank normally should hold one-half and never less than one-third of its cash reserve in dominion notes. His first bank act encountered some opposition but passed both houses in 1870. 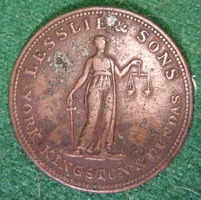 The next year the main provisions in the act were extended and a new bank act consolidated the 1870 and earlier acts. The spirit of compromise was kept alive: in the face of opposition from spokesmen for small banks, Hincks reduced the minimum capital for banks starting up from $1,000,000 to $500,000 with 20 per cent paid up. All the provisions of the act would apply to the 19 banks whose charters it renewed and to future bank charters, but special provisions were inserted to govern banks whose charters were not up for renewal and to meet the particular needs of some institutions. 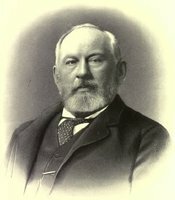 Hincks had succeeded in ending the stalemate he had inherited in 1869 and in establishing the principle of general legislation applying equally to the banks and currency in the country. As minister of finance Hincks performed his duties ably, but he was losing his zest for politics and, in addition, was disturbed by his cool reception from many coalition Liberal-Conservatives. 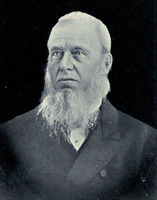 Although he was re-elected for the constituency of Vancouver in the general contest of 1872 he longed to be free of his cabinet responsibilities. On 21 Feb. 1873 he resigned as minister but retained his seat in the house. 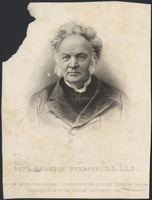 He did not run in the 1874 general election, and with the defeat of Macdonald’s government he moved to Montreal and began to contribute editorials to the Journal of Commerce. 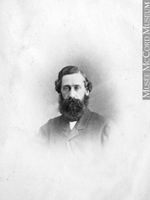 In 1871 he had become the first president of the Toronto-based Confederation Life Association and retained that position until 1873 (he sat on the board of directors until 1879). 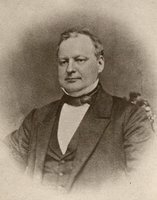 He assumed the presidency of the Consolidated Bank of Canada in 1875, but age and infirmity led him to neglect his duties and to sign documents without adequate scrutiny. When the bank failed he was indicted on 6 Feb. 1879 under his own banking legislation for making a “wilfully false and deceptive return.” Hincks was found guilty by Samuel Cornwallis Monk of the Queen’s Bench, but on a motion by the defence Monk reserved the case for the full court. The original verdict was overturned and Hincks acquitted, but he was censured for his negligence. At a special general meeting of the shareholders of the bank held on 18 September, he was voted out of office. 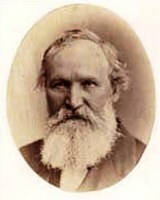 Though retired, he remained active and in 1878 served as the federal government’s representative on the Ontario-Manitoba boundary commission. He also enjoyed assisting John Charles Dent, the historian, in the preparation of his Canadian portrait gallery and The last forty years, and subsequently began working on his own reminiscences. Unfortunately, he had left it too late and the book he published in 1884 fell far short of the work he might have produced earlier. His second wife died in 1880 and he spent his last years living with his daughter, Ellen Ready. In August 1885 he contracted smallpox when an epidemic struck Montreal, and he died on the 18th of the month. It was during the years before he became premier that Hincks was most productive. 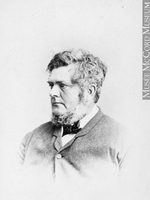 In this period he acquired the business and banking experience upon which his reputation as a financial administrator rested, and through the Examiner became the leading spokesman for the Upper Canadian Reform movement. His political astuteness and foresight led him to realize that, given the permanence of the French fact in Canada, some form of consociational democracy was the key to political power. He was one of the first Reformers to see that an English-French alliance would become a basic factor in Canadian politics and he took the initiative to achieve such an alliance. Ironically, in 1841, when his political pragmatism and his willingness to compromise led him to separate temporarily from Baldwin and La Fontaine, he became permanently labelled as a political opportunist. Upon moving to Montreal in 1844 he hoped to make the Pilot a link between Reformers in both sections of the province, but he never attained his objective. He exercised considerable influence with La Fontaine and his French Canadian followers, but he had isolated himself from the Reformers in Canada West. As Brown’s influence grew in the western half of the province, Hincks’s declined, a fact he deeply resented. It was probably his business and banking background that led him to regard responsible government as a means of obtaining the power not only to secularize the clergy reserves and solve the seigneurial tenure problem, but also to promote railway building and economic expansion. He was the first Reformer to commit himself deeply to the development of Canada’s economic potential. Despite the enthusiasm with which Hincks and Morin took office in 1851, they failed to achieve their primary objectives with regard to the clergy reserves and seigneurial tenure. Hincks contributed in an important way to the creation of the Grand Trunk Railway, but because of the difficulties it soon encountered it became a political liability rather than an asset. He had hoped to reunite the diverse elements of the Reform party in Canada West, but his efforts were unsuccessful. 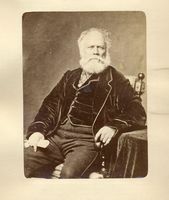 He then worked to form a new political alignment that would preserve both the English-French alliance and the union of the Canadas, and thus contributed to the formation of the Liberal-Conservative coalition even as he was forced out of office in 1854. Hincks undoubtedly saw the years that followed as a vindication of his reputation – in reality they were an anticlimax. Although he served successfully as a colonial governor and then as a minister of finance under John A. Macdonald, he never regained his former enthusiasm for politics and economic development. Tradition has it that Hincks was a financial genius – it would be more accurate to say that he was a successful financial administrator. 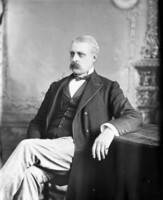 His banking skill kept the Bank of the People solvent during a period of economic crisis, and as inspector general he helped to restore Canada’s financial reputation by putting the province’s finances on a sound footing. Baring Brothers and other British financial houses held him in high regard. He was given credit by Samuel Zimmerman* and many other Canadian entrepreneurs for establishing a favourable economic environment for railway building and development. But he was apparently incapable of applying his talents to his own private affairs. At no time was he a wealthy man, and he rarely made sizable profits on his investments. He was frequently hard pressed by the want of relatively small sums of money, and late in life, when he came to draw up his will, he did not expect much to be left of his estate after his debts were paid. 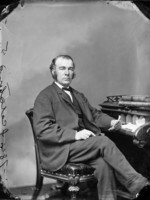 The most important writings of Sir Francis Hincks are the following: The political history of Canada between 1840 and 1855: a lecture delivered on the 17th October, 1877, at the request of the St. Patrick’s National Association, with copious additions (Montreal, 1877); Religious endowments in Canada: the clergy reserve and rectory questions: a chapter of Canadian history (London, 1869); and Reminiscences of his public life (Montreal, 1884). Other publications are listed in National union catalog and Biblio. of Canadiana (Staton and Tremaine) and its First supp. (Boyle and Colbeck), or can be found in the AO pamphlet collection. Hincks was also the editor of the Examiner (Toronto) from 3 July 1838 to June 1842, and of the Pilot and Journal of Commerce (Montreal) from 5 March 1844 to 27 March 1848. BNQ, mss-101, Coll. La Fontaine (copies at PAC). MTL, Robert Baldwin papers; Thomas Strahan Shenston papers. PAC, MG 24, B30, 1; B68. Can., Prov. of, Legislative Assembly, App. to the journals, 1854–55, XIV: app.A.A.A.A. The Consolidated Bank of Canada: a compilation, comp. J. F. Norris (Montreal, 1879). “How history is written: the Hincks to Dent letters,” ed. Elizabeth Nish, Rev. du Centre d’Étude du Québec (Montréal), no.2 (avril 1968): 29–96. Dent, Canadian portrait gallery. DNB. Notman and Taylor, Portraits of British Americans. G. E. Boyce; Hutton of Hastings: the life and letters of William Hutton, 1801–61 (Belleville, Ont., 1972). R. M. Breckenridge, The history of banking in Canada (Washington, 1910). Careless, Brown, I; Union of the Canadas. G. M. Craig, Upper Canada: the formative years, 1784–1841 (Toronto, 1963). Dent, Last forty years. S. [B.] Leacock, Baldwin, LaFontaine, Hincks: responsible government (Toronto, 1907); new ed. issued under title: Mackenzie, Baldwin, LaFontaine, Hincks (London and Toronto, 1926). R. S. Longley, Sir Francis Hincks: a study of Canadian politics, railways, and finance in the nineteenth century (Toronto, 1943). Monet, Last cannon shot. W. G. Ormsby, The emergence of the federal concept in Canada, 1839–1845 (Toronto, 1969). Adam Shortt, “Founders of Canadian banking: Sir Francis Hincks, most notable of Canadian ministers of finance,” Canadian Banker, 33 (1925–26): 25–38; “Hist. of Canadian currency, banking and exchange,” Canadian Banker, 10–13. William G. Ormsby, “HINCKS, Sir FRANCIS,” in Dictionary of Canadian Biography, vol. 11, University of Toronto/Université Laval, 2003–, accessed April 26, 2019, http://www.biographi.ca/en/bio/hincks_francis_11E.html.